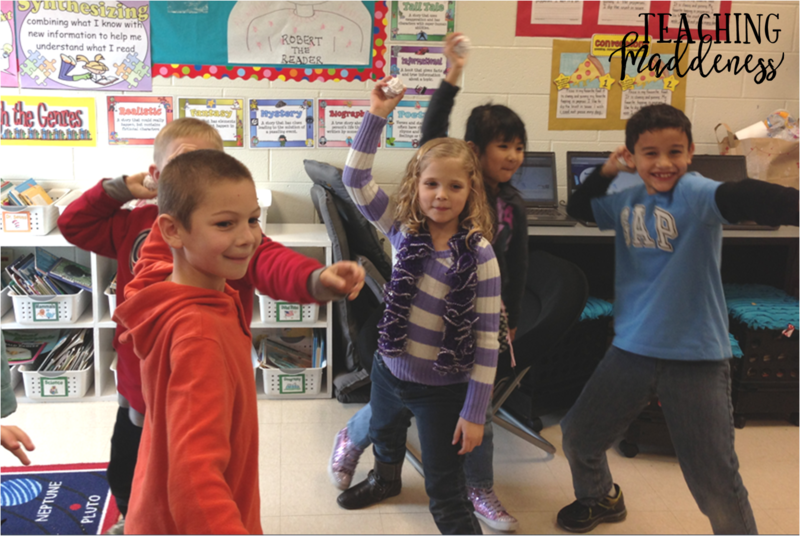 Often our students don't get to go outside for recess as much during the winter. This can cause restlessness in the classroom. I like to keep my students moving as much as possible during lessons to combat this, and one of my favorite ways to do this during winter is through Snowball Fight Learning! They eat it up! Here's how it works. Have each student write a two- or three-digit number on a blank page. Then, wad it up into a snowball. Divide the class with half of the students standing on each side of the classroom. Have them thrown their snowballs on your signal. After throwing, they race to pick up a snowball and head back to their seat. I partner students up with the person sitting next to them. They straighten out their snowballs and solve the problem with their numbers. Compare. If their answers match (both got it correct), they wad the snowballs back up and head back out. If not, they work through them together to find their mistakes. Once all students are armed and ready, we repeat! Sounds super easy right? It is. But, I found that students would ALWAYS write 99 or 999. If I told them not to use that number, they would write 98. Haha! 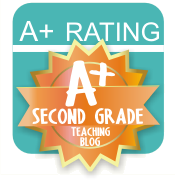 So, to ensure that students all had a variety of numbers (and that they were legible....that would sometimes be a problem, too) I created these super easy number printables that work perfect for this. There's one set that will ensure students are practicing addition without regrouping and another with regrouping. I hope you find them useful! Thanks for linking up with us this month! 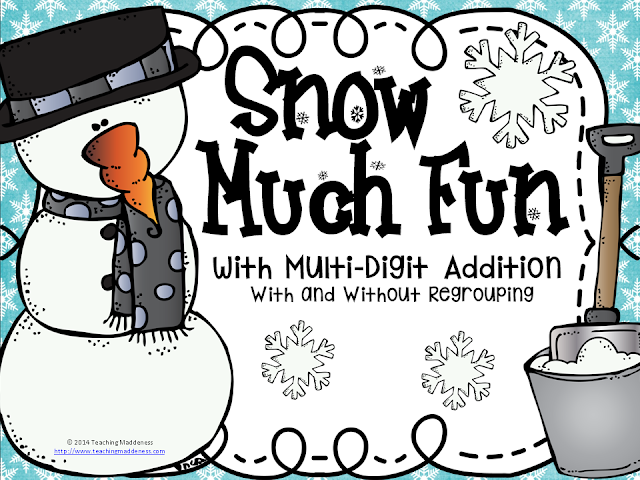 What a fun way to mix things up during math time this winter! 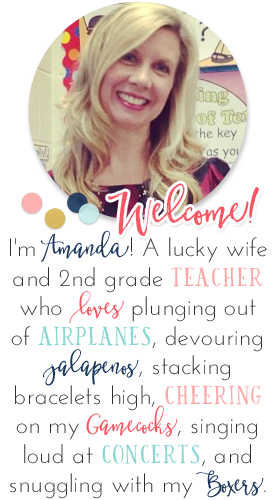 So much fun Amanda! Thank you!! Great activity for the students to get up and moving. 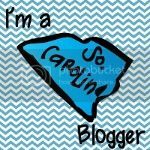 It is good to find your blog! What fun! I shared your post on my facebook page. I absolutely LOVED this activity! Thank you for the freebie! I teach 4th grade, so I modified it to practice double digit multiplication. So love your site! I am in Ontario Canada. 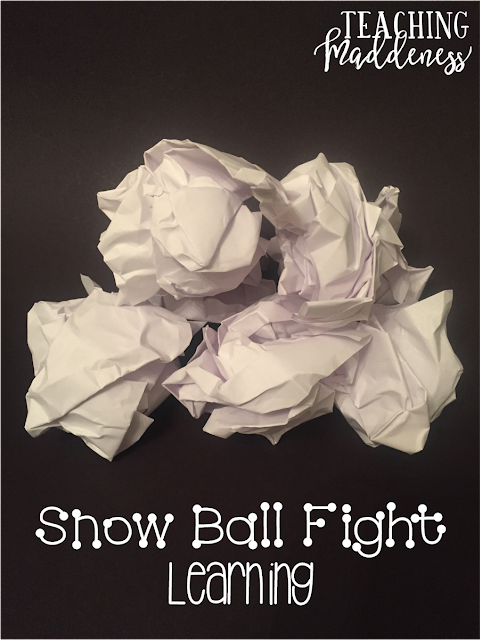 Will do the snowball activity Friday. We are having an incredibly mild winter but it will be fun to throw stuff around and still be doing something educational. I love fun learning! Thank you so much for sharing!! Miss MacT.